This page currently shows my latest finished paintings. As new paintings are completed these images will move to a Gallery page to make room for the new ones. Click on the image for a larger view in a separate window. This painting began as a pencil sketch for a watercolor painting. When the detail got out of control, I decided to turn it into an ink drawing. It worked okay and was even accepted into the 2015 best of West Virginia at Tamarack’s David L. Dickirson Fine Arts Gallery in Beckley, WV. Still, I wasn't satisfied with the finish piece, so I decided to turn it back into a watercolor painting. I'm glad I did. 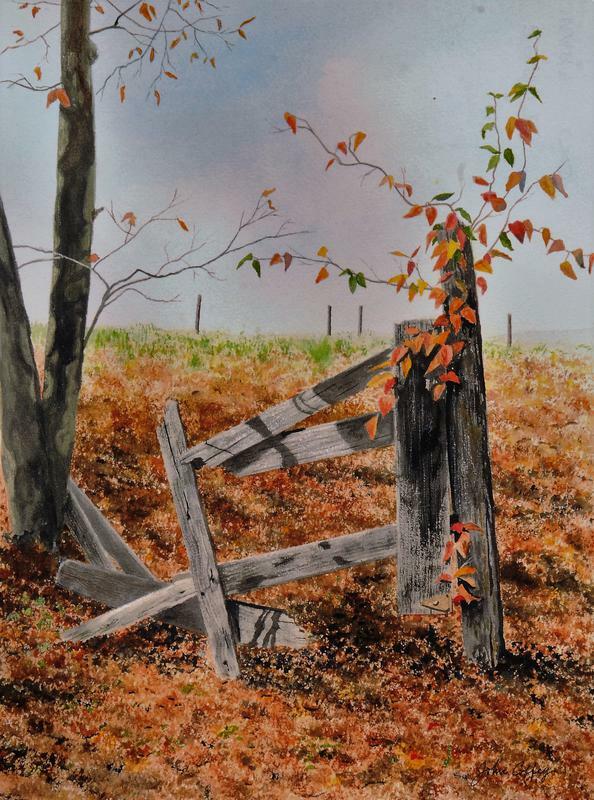 This painting is currently on display at the West Virginia Watercolor Society's Membership show at the Randolph Arts Center in Elkins, WV where it won BEST OF SHOW!